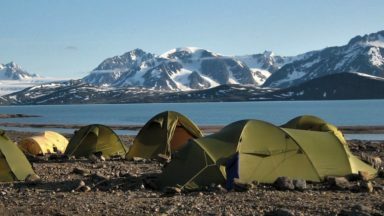 Scandinavia is the ideal place for immersing yourself in a natural and vast wilderness, a place where you can walk for days without coming across a town or a street. And it's up in the north, beyond the polar circle, where Scandinavia is at its best. 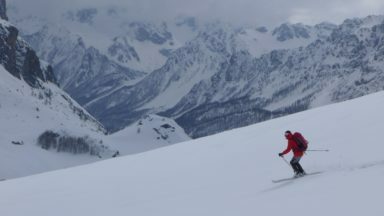 Matteo Ragno tells us about a trip he enjoyed. About a year ago, I started looking for information about the numerous paths in Lapland. I quickly convinced myself that the Nordkalottleden was the ideal one for me. This path crosses the arctic region of Scandinavia, along the borders of Norway, Sweden and Finland, and has a total length of 800km. 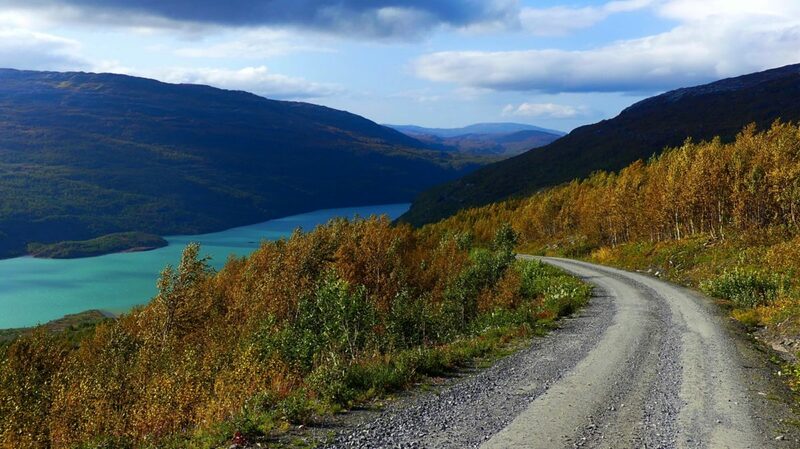 It is one of the northernmost long-distance trails in the world and located entirely above the polar circle. 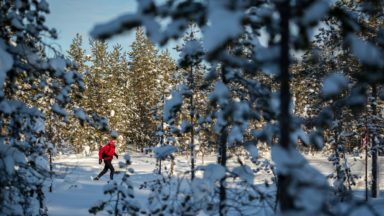 Crossing the heart of Lapland, the last real wilderness in Europe, the track passes through a beautiful variety of Nordic landscapes: high, open plateaus, glaciers and mountains, as well as wooded valleys, large taiga areas, lush birch forests and dozens of lakes and rivers. From Oslo you can catch a train and reach the northernmost point of the line, Fauske, a small town located on a pretty fjord and 1200km north of the capital. The landscape visible from the train is amazing and becomes even more spectacular the further north you head. 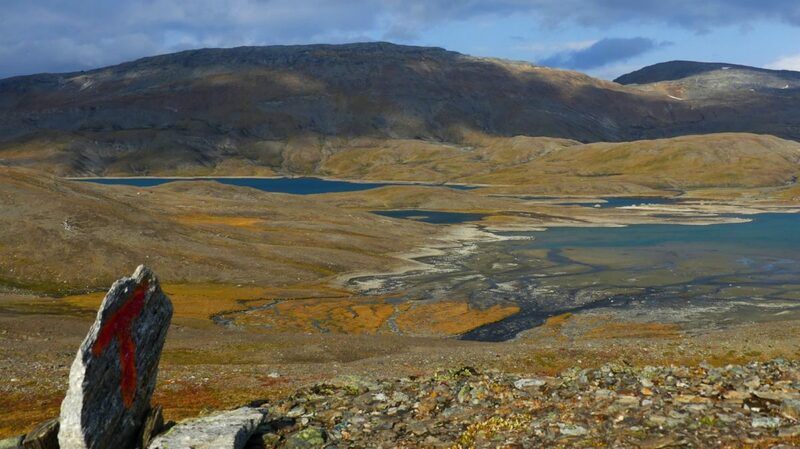 From Fauske, it’s only a one-hour bus ride to the east to reach the starting point, Sulitjelma, the southern terminus of the trail. The Nordkalottleden has been included on the E1 path, one of the long-distance European paths from North Cape to Palermo, Sicily. With enough time to spare, I could theoretically come back to Italy by walking south for a few months. Sulitjelma is a little village near the Swedish border, with a history as a mining city – however, most of its mines are now abandoned. 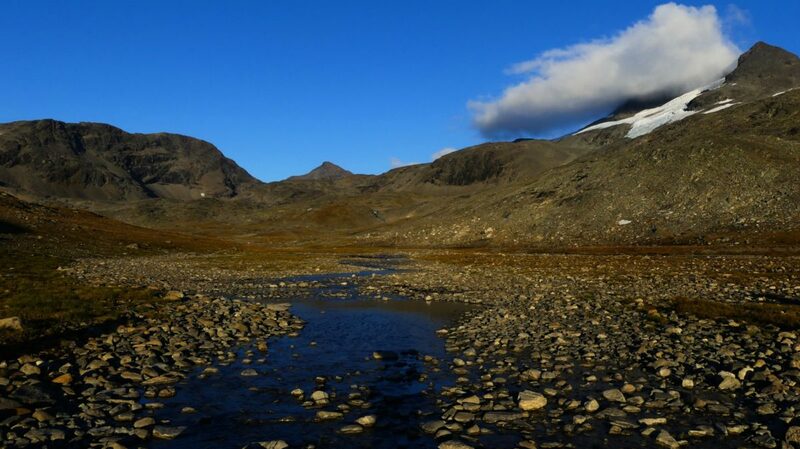 Archeological discoveries prove that the area was inhabited thousands of years ago by a settlement of Sami, the indigenous people of Lapland, until the first Norwegians settled in the area in the mid-1800s. Soon after, rich copper and sulfur deposits were discovered and, in the late 1800s, mining began. In the early 1900s, the village had more than 1500 inhabitants. After more than 90 years of mining, they needed to dig deeper into the mountain to reach the deposits and extraction became too expensive. 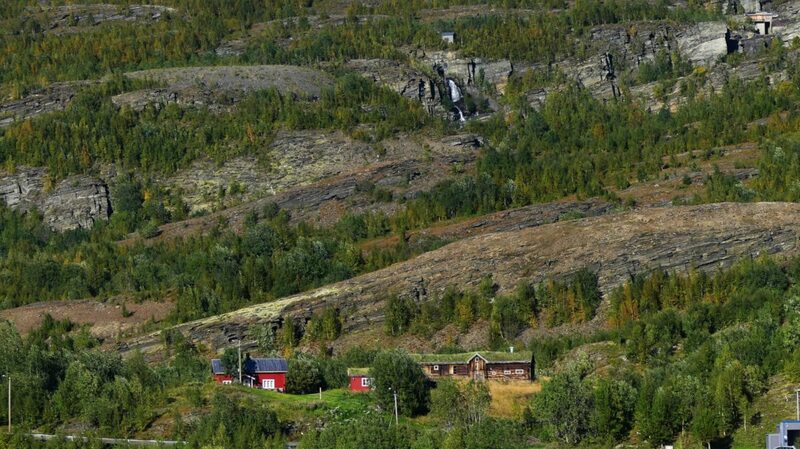 Nowadays, Sulitjelma is a small village of about 400 inhabitants and tourism is the main activity of the area. The tourist office can give you all the information about the track and they can give you the keys to the huts located along the trail. 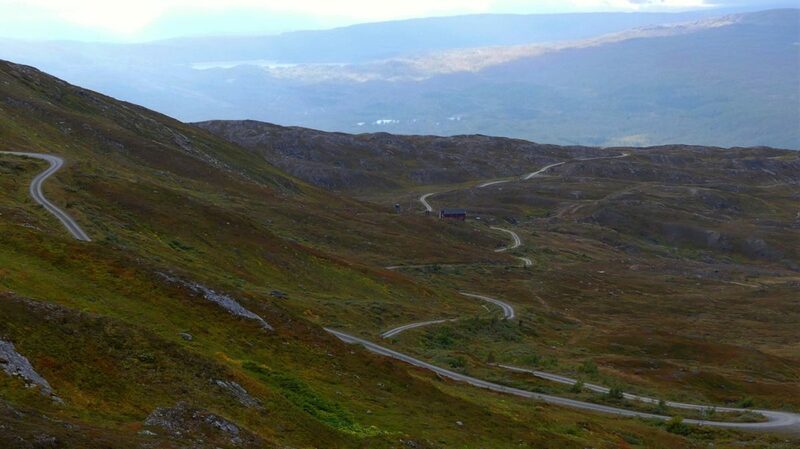 Leaving Sulitjelma, the track heads upwards from 130m above sea level to about 600m. During this climb, the birch forest (betulla pubescens) gradually gives way to high-altitude plants, which can survive the cold and exposure to strong winds. 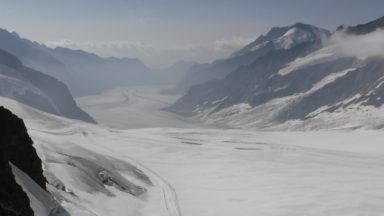 After about an hour’s walk, the track reaches the top of the hill, offering the vast and amazing view of a wide and open plateau, an infinite sea of rocks crossed by dozens of rivers and lakes, formed by the melting water of small glaciers and fields of snow on the surrounding mountainsides. The low vegetation colours the landscape with all possible shades of brown, red and yellow. It’s only 600m above sea level, but it feels like 3500. If you travel alone, you may feel a little lost in such an immense landscape, as I did, but the track is very well marked with red Ts, which are impossible to miss. The weather is unpredictable up there, and you should therefore be prepared for anything, even in summer. Sometimes I had to take off my shoes to cross the creeks and if it had been raining it would have been more complicated. I learned the hard way that it's preferable to have a shelter suitable for windy conditions. After three days of walking on the fells, between land and sky, the path descends to around 400m above sea level, and the landscape becomes less severe and the wind dies down. From the Kutjaure Lake the track follows the Vuojatadno river, in the middle of a beautiful valley, with green meadows embraced by vast forests. Moving northwards, you can see on the right the Ahkkà Mountains, with 1700-1800m peaks, several glaciers and dozens of waterfalls. 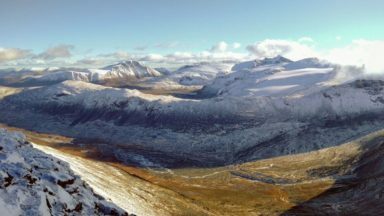 This massif is rather isolated and has an impressive appearance, earning it the nickname the Queen of Lapland. It is considered to be a holy mountain in the tradition of the Sami people, and I'm not surprised. 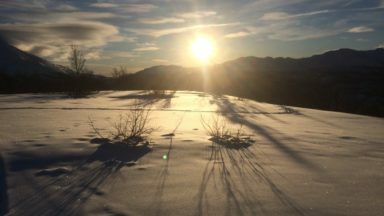 When the light of the sunset shines on the Ahkkà Mountains, the view really is amazing and it inspires mysticism. After about 25km, the Vuojatadno River flows into the Akkajaure Lake, one of the largest in Sweden. On the other side of the lake is the village of Ritsem, the first inhabited place after Sulitjelma, which is about 100km south. Unfortunately, I didn't have enough time to visit it. My time was running out, and the only way for me to return to civilisation was to go back and retrace my steps. 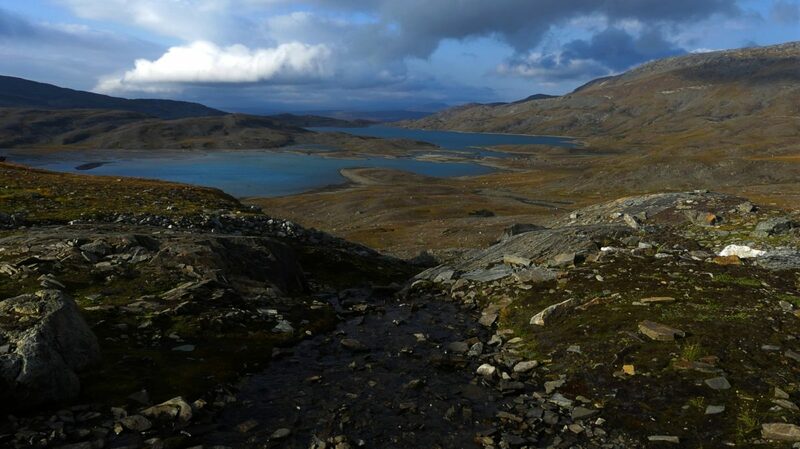 Back in Sulitjelma, I met another lonely trekker, a woman in her 40s who was coming from my direction. She is from Stockholm and has a lot of experience in Scandinavian paths. 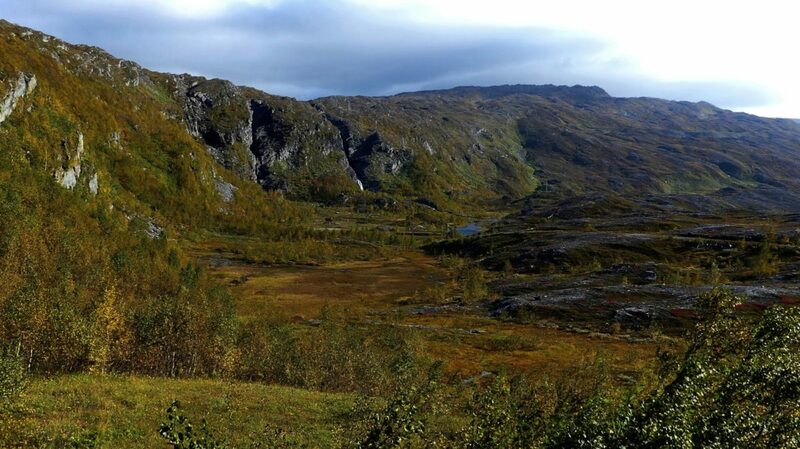 ‘I walked the Kunsgleden trail a few years ago but I found it really overcrowded during summer. On the Nordkalottleden I met more reindeers than trekkers. I like that,’ she said, laughing.